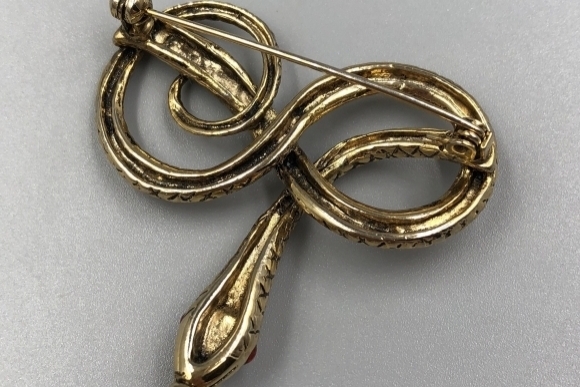 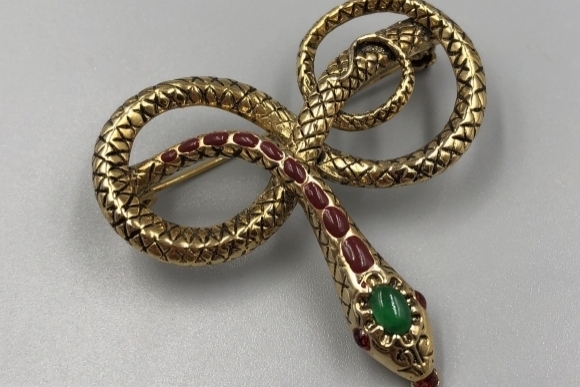 This Metropolitan Museum of Art jeweled snake brooch from 1985, is inspired by the necklace in the full length portrait, The Count of Haag painted by the Munich court artist, Hans Mielich painted in 1557. 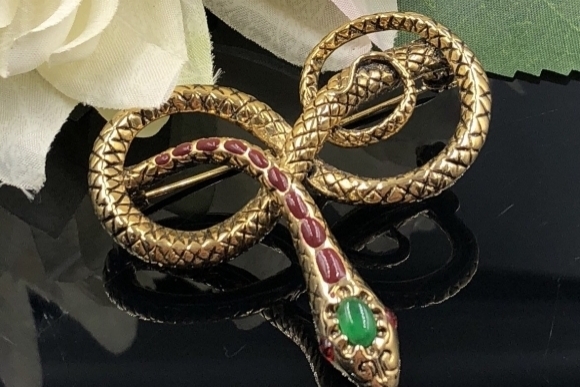 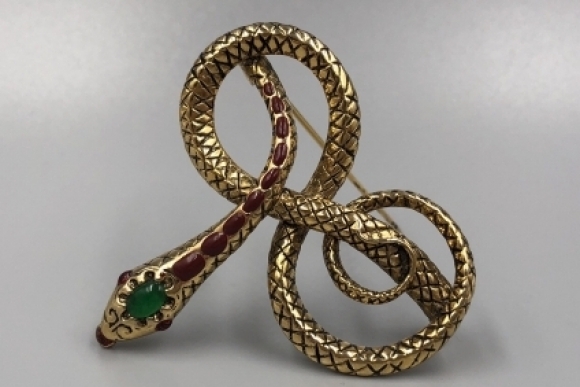 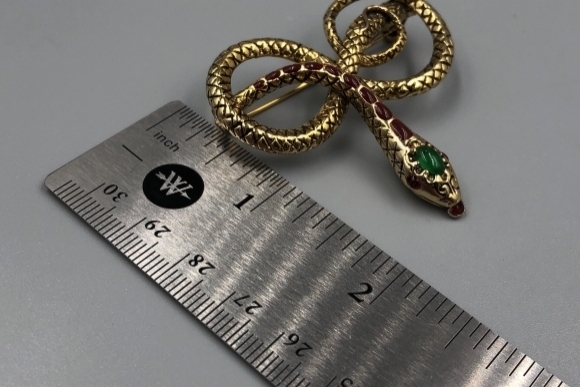 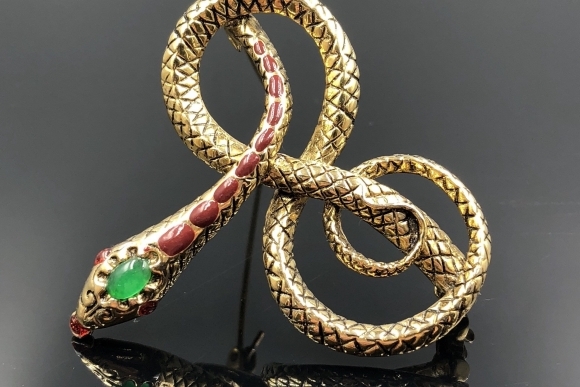 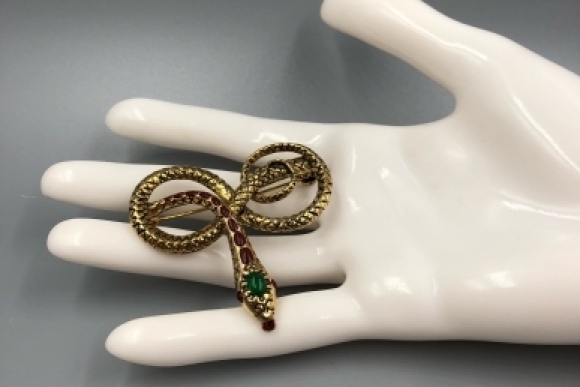 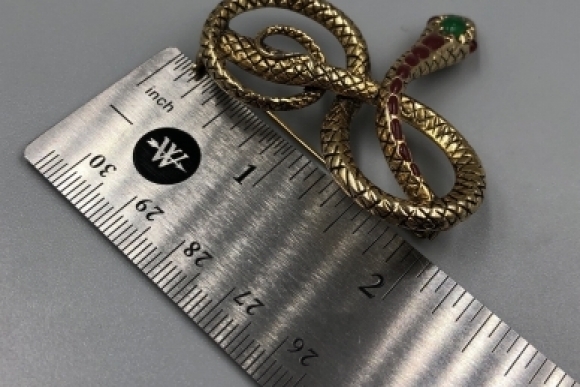 The snake is highly detailed in 24K gold plate, adorned with a red enameled pattern down its back, and set with an oval cabochon of genuine jade, and ruby red glass stones. 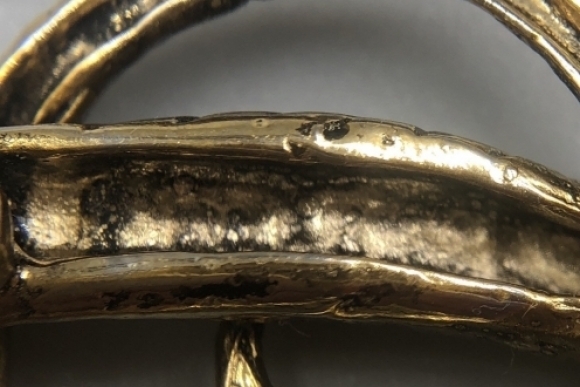 The MMA 1985 stamp is obscured.